Lazy post, sorry! I am cross-posting more helpful information from the OSHA Training Blog. "June 1, 2013 - No need to panic, at least not yet. But let me remind you that the deadline for training all employees on the changes brought about by OSHA�s adoption of the Globally Harmonized System of Classification and Labeling of Chemicals (GHS) into the Hazard Communication standard is getting closer by the day. And while the December 1, 2013 deadline for getting all mandatory employee training completed may seem a long way off, just remember that it was more than fourteen (14) months ago that the revised OSHA Haz-Com standard was published and the deadline was first announced! 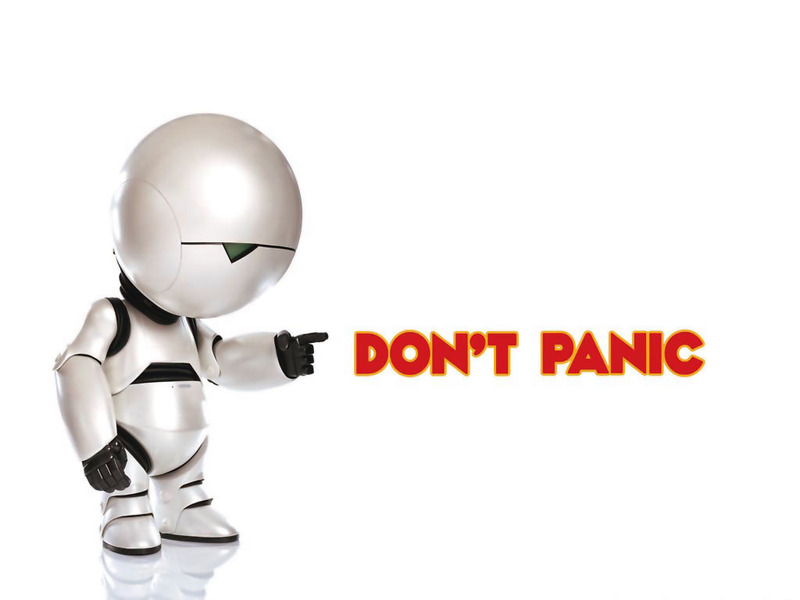 [...]"
FIRST, mad props for the possible (intentional or not) The Hitchhiker's Guide to the Galaxy shout-out. I can never decide if I prefer the books or the 2005 film. SECOND, find the full version of the GHS "purple book" on the OSHA website if you want to learn more about OSHA's implementation of GHS. THIRD, if you are more of a visual person, OSHA developed a PowerPoint you can download for free or review for free to learn more about GHS.